The flower Lotus is regarded with divinity and grace. Often, the Hindu Goddesses Lakshmi and Saraswathi are associated with the flower lotus. Even Lord Shiva, who wanted to escape the wrath of the Lord Saneeswaran, morphed himself into the shape of a bee and took asylum inside a lotus. Buddhists regard this flower as a sacred one. 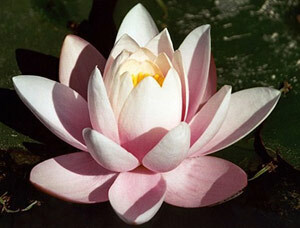 The Lotus symbolizes purity, beauty, majesty, grace, fertility, wealth, richness, knowledge and serenity. They are found in white and pink colors in general and they grow in shallow and murky waters. The pink one is regarded as the National Flower of India. Some blue colored flowers are also sighted. These flowers enjoy a warm sunlight and intolerant to cold weather. This is why, they are not seen blossoming in the winter. The floating leaves and flowers have long stems, which contains air spaces to maintain the buoyancy.